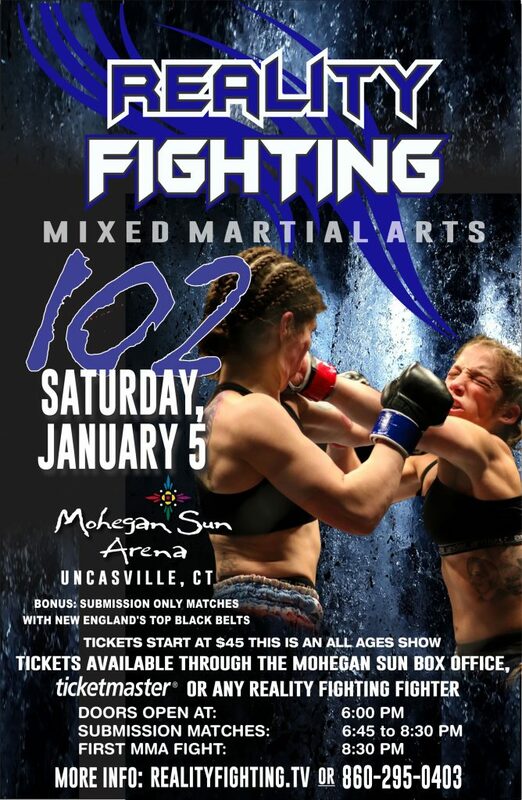 Reality Fighting returns to Mohegan Sun Arena in Uncasville, CT on Saturday, January 5, 2019 for a night of MMA fights and grappling superfights. Tickets go on sale soon and start at $50. 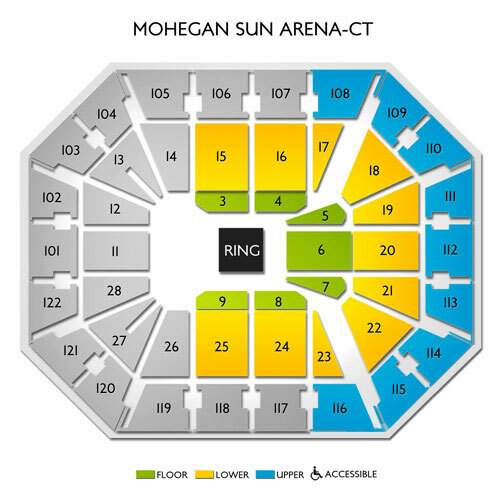 They can be purchased through any RF fighter, the Mohegan Sun box office, or Ticketmaster. This is an all-ages show. Doors open at 6:00 PM. Grappling Superfights will take place from 6:30 until 8:30 PM. The first MMA fight will be at 8:30 PM. The fights will be streamed live on Fite.tv. If you are interested in competing on a future card (Grappling or MMA) please complete the fighter application HERE or email Joe Cuff at jcuff@nagafighter.com. FROM BOSTON, MA – Take Mass Pike to I-395 South. Exit 79A off I-395 in Uncasville, CT.
FROM HARTFORD, CT – Take I-84 East to Route 2 East to I-395 South. Exit 79A in Uncasville, CT.
FROM PROVIDENCE, RI – Take Route 6 West to I-395 South. Exit 79A in Uncasville, CT.
To reserve a room at Mohegan Sun click HERE or call 888-777-7922. Please note that we do not have a NAGA rate with the hotel. For more hotels in the area visit Hotels.com.